It’s likely that, as a counsellor or therapist, you probably found couples counselling wasn’t covered in much detail in your initial training. And if it’s something you’re now interested in, you’ll probably find most courses are one or two years long. But it is possible to learn the fundamentals of couples counselling in a short course. This Introduction to Couples Counselling is a four day course and will provide you with the key principles and techniques you can start putting into practice to help your clients. The course is integrative and involves a mixture of theory, group work, role plays and videos. even if you don’t work with couples, this course will inform your individual work. Many trainees attending this course have found a lot of resources to help with their individual clients presenting with relationship issues. Dates have now been set for the summer training in London. These are: 8/9 June and 6/7 July 2019 from 10am to 5pm each day. The price is £470 for the four day course. To book a place, there is a non-refundable deposit of £100 payable now. The balance of £370 is payable one month before the course start date. The London venue is: The Deborah Ubee Trust, 20 Egerton Drive, Greenwich SE10 8JS. This venue is very close to Greenwich DLR station, which also has direct links to London Bridge and Cannon Street. Both weekends (4 days) are needed to learn the basics of couples counselling. On the third day, Debbie will be joined by her partner Simon Adamson who is also a couples counsellor. The two of them will jointly facilitate this day; and hopefully this will add an interesting extra dimension to the work. Simon may also assist with supervision of role plays on other days. You can read more about their work together at www.completecouples.com. A CPD certificate of 24 hours will be provided on completion of the course. This course will run at least once or twice per year. There will be maximum of 15/16 people per course to ensure optimum benefit of the course. Minimum qualifications required to enrol for the course: the course is most suited to qualified counsellors or psychotherapists. If you are a trainee, then completion of a minimum ten week certificate course is required to enrol. If you are outside of these criteria, please contact me to discuss, as in exceptional cases, enrolment may be possible. Cancellation terms: A £100 non-refundable deposit is required to reserve a place. The balance is payable one month before the course start date, and once paid is also non-refundable. In the event of cancellation with less than one month’s notice, a full refund will be offered if someone from the waiting list takes your place, otherwise the balance payment is also non-refundable. ♦ A thorough and fascinating grounding in working therapeutically with couples. Using a wide and interesting variety of teaching methods, the presenters Debbie and Simon were professional and well organised, but at the same time relaxed and friendly. So much was packed in, including in-depth training on a number of popular contemporary therapeutic models. Handouts covered everything, so it was easy to just absorb the information and insights, without needing to take notes. I’d absolutely recommend this course to any professional contemplating working with couples. Martin (Course participant May/June 2018). 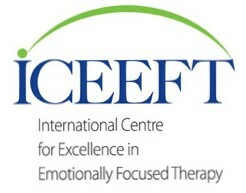 ♦ Excellent course by professional trainer; suitable for counsellors wanting to understand and practise couples work. ♦ Best, most comprehensive set of handouts and notes of any training I’ve ever been on – much appreciated. Really thorough grounding in essential considerations, ethics and differences working with couples. Comprehensive introduction to different theories/models. ♦Everything was excellent. The resources fantastic, the pace was just right and the expertise of the facilitator was great. All of it has been helpful without feeling overwhelming. ♦ I would (and have) thoroughly recommend this course to colleagues who are considering couples counselling. It contains a large amount of practical information backed up with Debbie’s hands-on experience and her revealing and invaluable insights into many of the front-line occurrences that couple counselling will present. Both Debbie and Simon have a vast experience of couple counselling and the manner in which they present their knowledge is both accessible and entertaining. Without doubt a ‘must do’ course. ♦ Clear explanations for the theory and the practical issues. fantastic resources to back up the learning and to use in practice. Thoroughly enjoyable and fascinating. ♦ I very much appreciate how broad the course is and how we are introduced to a number of different ways of working. This is also true for the different teaching methods that are used, a lovely balance of talks, videos, practice etc. I particularly love the way Debbie and Simon share themselves and their experiences. The pace for me is also excellent. ♦ Generally, I felt the course was very informative and gave me lots of ideas and insights. I feel the course is an excellent alternative to some of the lengthy and expensive other couples counselling courses. ♦ Debbie is engaging and very competent – asking her about her own experience (and Simon’s) is very affirming and inspires confidence. The handouts are comprehensive and the content has covered many aspects of how to begin as a couples counsellor. ♦ I thoroughly enjoyed the weekend. The information was clear and really well presented. The day was well structured and had a great mix of practical and didactical learning. Made a difficult subject easy to understand and left me feeling confident to begin to practise. Best CPD course I have attended. ♦ An excellent balance of structure/input and mapping onto/listening to participants’ own experiences and practice. ♦ I feel as if I’ve had a solid grounding in the basics. Clearly explained. A good balance between teaching and participation. I will be recommending! ♦ I found the course very enlightening and full of information. Highly recommended course. You will get all the information you need to move forward in couples counselling. Debbie is an inspirational teacher and I would recommend this course to anyone who wants to work with couples. ♦ I would certainly recommend this course to anyone who is thinking of starting out on couples counselling. Be ready to discover how much there is to take on board. Debbie is a fantastic tutor. ♦ ‘I attended the couples counselling 4 day course run by Debbie. I have to say, this has been some of the most helpful study days I have attended.The course is very comprehensive, and well thought out. Each day has a range of topics and techniques. Debbie sets out to explain the information, then allows time to practise the techniques, and time to discuss at the end. She covers a vast range of information, which is supported by a very comprehensive selection of handout and forms which can be used with clients. There is a good selection of books and information about couples and relationships available at the course Since finishing, I have been in contact with Debbie, and she has been very helpful in offering suggestions of further information and ideas. ♦ ‘Excellent attention to detail. The course draws attention to the most important considerations and provides a comprehensive toolkit for anyone starting out as a couples counsellor‘ (Phil Martin, therapist, Bournemouth). ♦ What was good was the expertise and experience of Deborah. Really clearly laid out. Really supportive and encouraging. I enjoyed and found Deborah’s anecdotal accounts really useful. They gave me much to think about. The really thorough treatment of ethics was most beneficial.